Description In the fall of 1808, Thomas and Nancy Lincoln settled on the 348 acre Sinking Spring Farm. Two months later on February 12, 1809, Abraham Lincoln was born in a one-room log cabin near the Sinking Spring. Here the Lincolns lived and farmed before moving to land a few miles away at Knob Creek. The area was established by Congress on July 17, 1916. An early 19th century Kentucky cabin, symbolic of the one in which Lincoln was born, is preserved in a memorial building at the site of his birth. 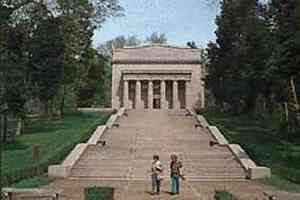 Add Abraham Lincoln Birthplace National Historic Site to your free online travel itinerary.